Hi everyone! I hope you're all well and having a great week. As I mentioned in my previous post, I went out for my friends birthday on Sunday night and today I want to share the outfit I wore. I was recently sent this beautiful floral playsuit from In Love With Fashion, an amazing fashion website that stocks stylish on-trend clothing for very reasonable prices. I have to be honest, before I was contacted by them, I hadn't heard of the website. However, since receiving this playsuit and one other item which I'll be featuring soon, I'm hooked. I already have a list as long as my arm of things I want to buy from the website so do make sure you check the website out. I'm a huge fan of playsuits and this one is just perfect. Its made from a light and floaty material, has a vibrant floral print and is perfect for day or night time wear. I decided to dress is up for my friends birthday but I'll definitely be wearing it on my holiday next month with sandals and a big pair of sunglasses. I also tihnk it could be worn in winter time too with some thick black tights and a jacket making it a great all rounder. I decided to teamed it with a chunky rose gold necklace from River Island and hand chain from Primark to jazz things up a bit but it didn't necessarily need any jewellery due to the busy print. I also wore these beautiful tan heels from Windsor Store which again are perfect for the Summer. I love the t-bar strap and chunky wooden heel and can already see myself wearing them to death. 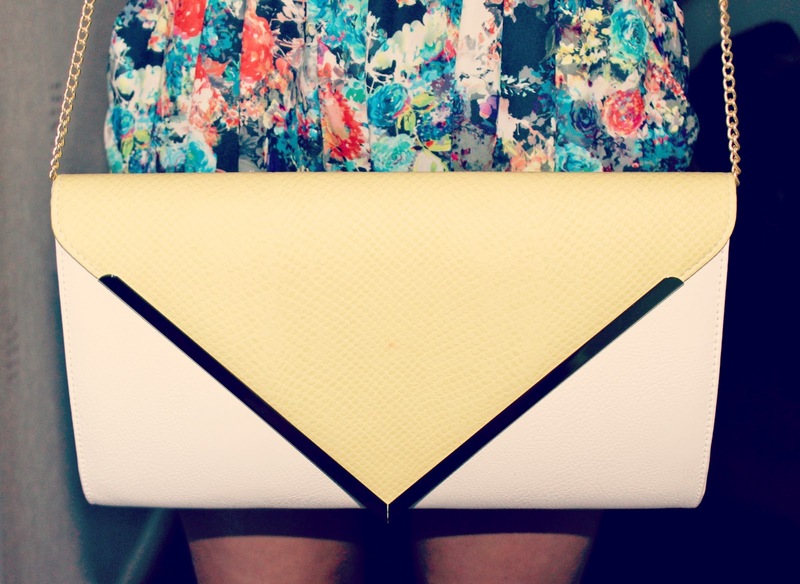 I also took my new Primark clutch bag out for its first outing and I absolutely love it. The yellow clasp really brought out the colours in the playsuit and I didn't realise until I opened it that it has a gold chain attached to the bag too meaning I can use it as a clutch or a shoulder bag - how convenient! I popped on my YSL 'Le Orange' lipstick to bring out the orange tones in the playsuit and walaah, perfect Summer outfit. I'll definitely be taking this on holiday with me next month, its so comfortable and convenient, requires no effort and is really flattering on the figure all while still being girly and glamorous. If you fancy treating yourself to some new clothes, your in luck! The lovely people over at In Love With Fashion have given me a unique 25% off code to share with the readers of my blog. If you like the look of anything on their website, all you need to do is pop 'couturegirl25' in at the checkout to receive the discount. Its valid on full price items until the 1st September 2013 and you can find the playsuit I'm wearing here for £36.00. Let me know if you decide to buy anything, I'm eyeing up a Beige playsuit as worn by Mollie from the Sats! So pretty! This looks so nice on you! I wish I could pull off playsuits! I love your outfit! The playsuit looks lovely and I really like your bag aswell :) Great post! Too bad I don't have any money. So cute, you look great Kayleigh!!! Love the playsuit and I definitely need to get my hands on that bag it's gorgeous! Great outfit, I love so much the playsuits!! 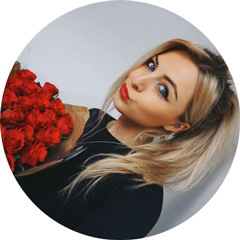 Take a look to my site, I have lots of giveaways. If you have a giveaway on your blog feel free to submit it to my site. aaah this is so lovely on you!! 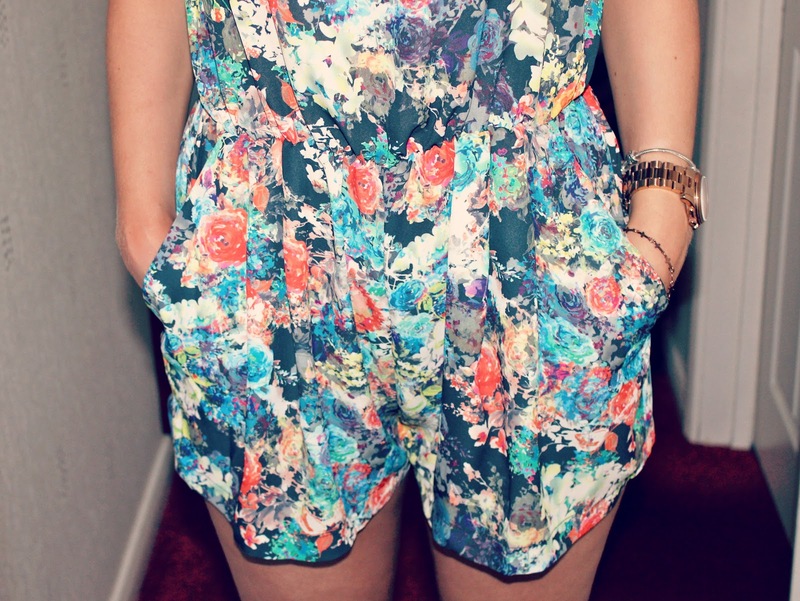 This is an amazing playsuit!! I love the print of it!! It's so perfect!! You look gorgeous and love the bag, Primark is doing amazing well atm! Kayleigh, you look friggin' amazing lovely! 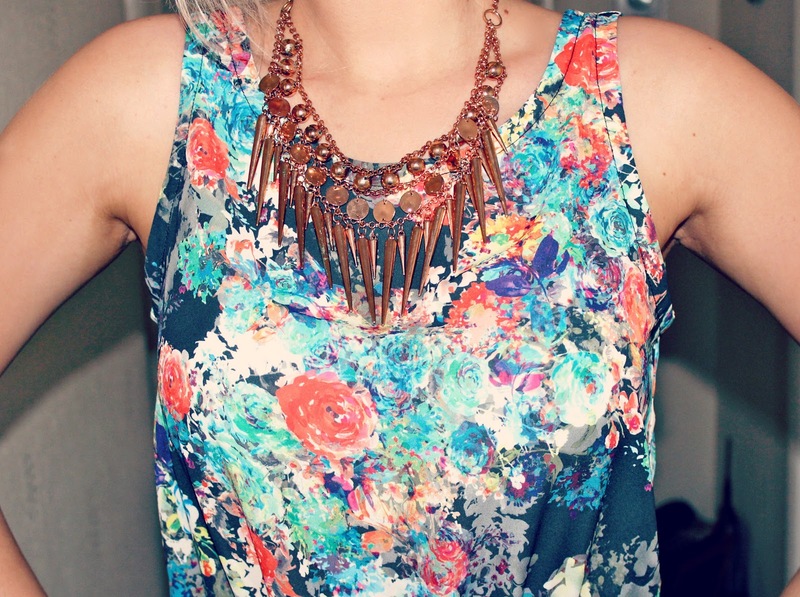 That playsuit is gorgeous and I love that necklace, is it recent River Island? If so, I think I'm going to have to get myself one, it's just so pretty and summery feeling. I hope you had a lovely evening! I need that handbag in my life. I know you may have forgotten about me since it's been so long but I wanted to stop by and say hi! Love the playsuit! The lipstick colour really brings out the colour in the playsuit! But I am in loveeeee with your eye makeup, it really suits you! Love your blog by the way! Lovely playsuit, the floral print is so pretty!